A couple of years ago, I decided that blogging wasn’t bringing in enough money (yet) and I needed a little more consistent income. I had heard about virtual assisting, but wasn’t entirely sure what it involved. I knew I needed a job I could do from home because we live in a very rural area and my husband and I share a car so I didn’t have the means to get to a job easily. I wanted the flexibility of working when I wanted to work, where I wanted to work. I started researching how to become a virtual assistant, very much convinced that it was some kind of work from home scam. Let me save you a lot of soul-searching and tell you without a second thought: it’s not a scam. Virtual assisting is not a get-rich-quick scheme. You don’t have to hound your friends to get them to buy things, you don’t have to put out a lot of money to start, and almost everyone has some type of skill that would be marketable as a virtual assistant. There are VA’s in nearly every niche you can think of: retail, medical, real-estate, legal and of course blogging! I realized quickly that this industry is perfect for my random “Jill of all trades” skill set. Pick up a copy of The Bootstrap VA. 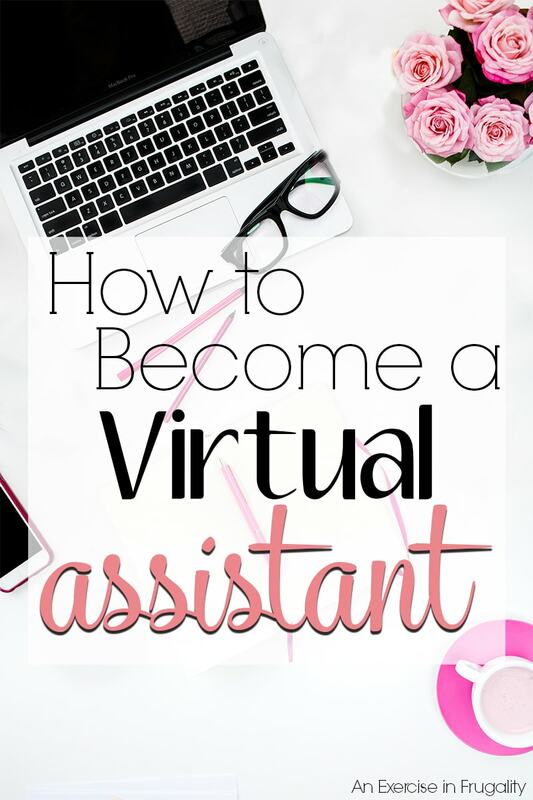 This book is a great resource on how to get started as a virtual assistant without spending a lot of money. Lisa offers a wealth of information in this ebook. It’s well-written, straight forward and without a lot of fluff. It’s a resource I refer back to often. When you purchase the book, you get it right away (since it’s available for the Kindle) and can dive right in. You also get access to her private Facebook group which has been an amazing resource for me. Tons of great information, lots of awesome mentors and the networking has been what launched me into the world of virtual assisting. Easily the best $9.99 you will ever spend. Network. While it is hard for me to do so, networking is really important. Get your name out there. Let people know what you do. Choose what services you will offer, and contact people who might be interested. There are many great Facebook groups dedicated to VA networking. Make yourself known in the groups by being a valuable member. Don’t go in and start shamelessly self-promoting. Join the community and be an active participant. Sub-contract. If you’re worried about jumping right in like I was, put out feelers for someone whose business is booming in your niche. Propose a sub-contractor agreement. You will make a lot less than you could on your own, but think of it like a paid internship: you will learn all the ins and outs of the industry while earning a paycheck, but the experience itself is invaluable. I met a woman in one of these groups and we clicked quickly. I started sub-contracting for her over a year and a half ago and decided that for now, this was a better fit for me than going about it on my own. Right now I work under her for her business instead of starting my own, though we discussed right from the beginning that going solo would be my eventual goal. She’s been great, our skill sets complement each other’s and I don’t have to deal with the “business” side of things. It’s a win/win. Polish your skills. Look for courses to advance or refresh your skills. There are lots of free courses out there, but some of the more in-depth ones are ones you have to pay for (and totally worth it). I have been eyeing courses from The Techie Mentor for a while and plan to take some of them VERY soon. Susan runs another great Facebook group called Virtual Assistant Tips & Tricks where VA’s including Susan share their expertise. Her courses are amazing, and absolutely worth the investment if you’re serious about your business. The Techie Mentor offers a VA Kick Start System that is well worth the cost. There’s also courses for advancing your technology skills with training on software such as InfusionSoft, WordPress and more. I highly recommend these courses and have heard many great things about them! Hang your shingle. If you’re ready to get started now, get yourself some web presence! Find a good web host like BlueHost, which offers a free domain when you pay for a hosting plan. Plans start at just $3.95 a month which is SO affordable. Running a website can be done very economically and quickly pays for itself in spades. Build a simple yet attractive website for your business, and wow clients with your skills and portfolio! So even though you won’t likely will not get rich (certainly not overnight) working as a VA, it’s one of the most flexible and broad careers out there. It’s perfect for someone who has skills that are valuable to a wide range of clientele. If you’re looking for something that will allow you to be your own boss (not working under some MLM pyramid scheme selling someone else’s products but ACTUALLY your own boss) then it is definitely something you want to learn more about. Because you are a business owner/contractor and not an employee, you set your own rates. As a result there is no real “range” of what a VA makes because it really depends on your clients and what services you choose to offer, but I can tell you I know VA’s personally that charge anywhere from $25-50 an hour or more depending on what types of skills they have. As a subcontractor, I make significantly less than that but I don’t have to deal with the business end of things. If you’re curious about what kind of money I make as a virtual assistant, you can check out the “Blogging on a Budget” tab above, and look for my blogger income reports which include what I was making as a virtual assistant as well. What questions do you have about becoming a virtual assistant? This is great information, thank you. One question though, I currently have a full time job, do you think I will be able to do both? It’s your basic 40 hour/week csr job and although I don’t have a problem with it, I am needing extra income on the side. You’re welcome! I am glad you found it helpful. The beauty of VA work is its flexibility. You can really do as much or as little as you want. You can start with just one client working only as many hours as you’re comfortable with. Some people do only temporary projects, some do regular/recurring tasks and some do both. You could easily do work for one or two clients on the side of your regular job and many of the customer service skills you possess can be used with your clients too. Tasks can be anything from managing their customer service to managing their social media, email triage, scheduling, etc. Good luck in your venture!